The Mural: Nazca inspired wall, located outside of the hostel. Where: Cabanaconde, Peru. Located about 3-4 hours from Arequipa in the Incan Valley. Length of time: This piece took me about three days to make. I painted all day long, the wall was smaller than a lot of the previous walls I had created. I enjoyed the scale, and it was outside. Accommodation: Free room (private) and breakfast, lunch and dinner as well. Amazing pizza and vegetarian food – salads galore! What I learned: This piece was the second one I created in the Canyon. A stunning canyon at that. I enjoyed the location so much I did not mind to continue to paint. After my first mural there, Auywaska, I knew I had to stay longer. Below is the Hostel owner Louy and I. He is a Peruvian man with an incredible talent for playing guitar, speaking multiple languages and with people. I am honored to call him my friend and cannot wait for the day I will meet see him again! The Canyon was incredible. I also wanted to feature a bit about Arequpia, the closest city. It is located a couple hours from Cabanaconde and is the only place where I could find paint to buy for the mural. It is in the mountains and was such an impressive city. About the Mural: The inspiration came from the native woman’s dress of the pre-incan town of Cabanaconde and Colca Valley region. The my mural showcases images of the birds, flowers, trees, cows, corn, food spirals, North, South, East, West, depicted in then tiny stitches of the indigenous Cabanoconde woman’s hat. While painting the mural, woman from off the streets would stop in the hostel and watch me paint. They were in awe of these images blown up onto a wall and with the images of the mountains in cooperated as well. The woman wore incredibly stunning hand made garments. Each town has their own specific hat, yet all tied together by the center image, the 8 pointed start. The women would work in these clothes and I admired how dramatically detailed each stitch was. I never sketched anything, I just like to draw directly onto the wall with paint. Below you can see the progession shots. I like to start with the focal point, the star, and then add lines to create movement. Of course, all the detail is done free hand and just by looking at the hat. I found tiny symbols and would make them larger and enclose them with designs. I had an idea of what I wanted, but the final mural is beyond what I could ever sketch prior to painting. In many ways that is why I love to paint, to create and feel. Sketching can make me feel limited as I, in many ways, set up expectations as to what is going to look like. I always have a general idea, but never exact. Time to Paint the Mural: From 10:00am-4:00pm I would paint for a total of 1 month. At night I would help them work in the bar from 5:00-10:00. In total I stayed 1 month at Pachamama. What I learned: The difference between latex paint and acrylic. I’ve only worked with water based acrylic paint so working with latex was my first time. It’s much more thick and rubbery. It’s smooth and has a plaster texture to it, also smells more toxic. 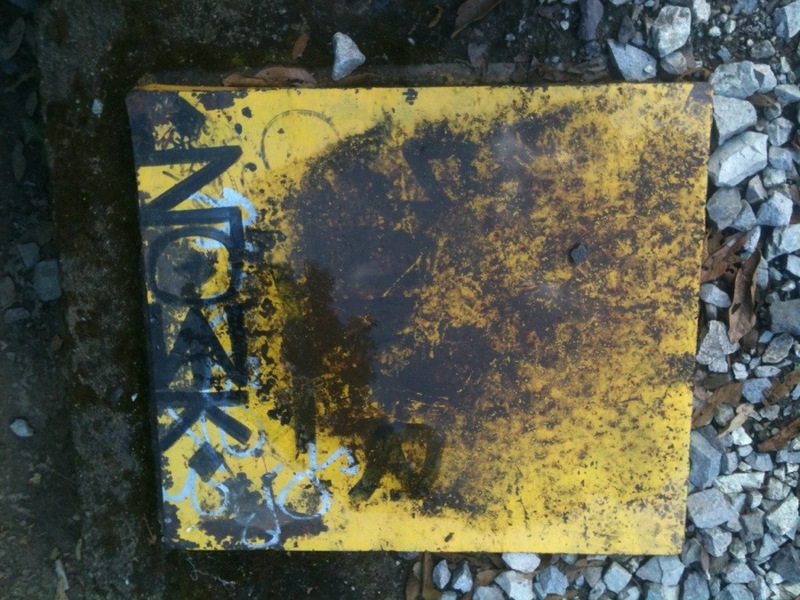 It is often difficult to work with paint that I have found in South America. The paint is different quality and I am getting better at adapting to the different kind. In addition I learned that communal spaces are difficult to paint, because the energy constantly changes from travelers coming and going. However, I made the best of it and it worked out well in the end. I learned that Cabanaconde is a good 5 hours from the nearest paint store and to probably plan a little more in advance in terms of buying paint. Saves a good 10 hours of travel and a couple of days in the big city! I learned to be careful to agree to paint when a hostel is under construction, only because I got suckered into painting more than I thought. I could not resist all the white walls! Colca Canyon – Cabanaconde, Peru; Deep canyon filled with tiny rivers and pre-Incan roots. Earthquake ridden and cobbled stone and dirt roads led by donkeys and children playing volleyball in the street. Horses greeting neighbors, blue skies and the worlds second largest canyon at 10,725 meters deep “Colca Canyon”. 3 days of trekking in the canyon will lead you to hot springs, potential quakes, mud baths and waterfalls. The town basks in the basks in the midst’s of alpaca, dry mountainous curves, green cactus budding tiny yellow flowers and enclosed in a mountain circle. It is a small is size, yet booming with beauty. The people of the town know the definition of community. It was home for one month and thanks to the family I made at Pachamama, this was one of the highlights of all of my travels. Small groups of brick and concrete houses, hidden in the embrace of the Canyon, home to the largest flying mammal the condor, glazed with snow capped mountains with echos of volcanic remnants and earthquake energy, I could not help but fall in love with it all. It is the type of town where you will not find internet, everyone knows each other, dogs are friendly and so is the way Peruvians treat them. I went for a stroll around the outside of town and was called into the corn fields to drink local brews with the farmers. I sipped Chicha with the locals and talked about the harvest season for corn and the large parties to follow the next couple of days. The local families would play volleyball in the streets and have to take down the net every time a car, horse or elder passed through. On one of my last days there was a celebration at the school. Every class dressed up and put on a traditional dance. I played volleyball with some of the students and got to know a handful of them pretty well. It was incredible to to see their school and meet their teachers. The dress wear for the celebration of the start of school were vibrant and thought out. I was in love with the traditional wear of the local woman. I was so impressed at the weight which they carry around with them. I felt so privileged to be able to try on one of the dresses. One of the women at Pachamama was going to Arequipa after work so she had the outfit with her, and so kindly asked if I would try it on. I could not stop smiling. I painted two murals: the first is inspired by the hats the woman wear of Cabanaconde and the second by Nazca drawings found in teh central part of Peru. There was a man who worked at Pachamama for a bit who gives tours of the Nazca lines and mummys so I was inspired to paint these drawings. Pachamama was the perfect home, with a vibrant energy. It had a restaurant that served breakfast, lunch and pizza and pasta dinner, all by candle light and guitar playing. The pizzas were some of the best I have had in South America, so it was more than amazing to eat there every day. The staff was friendly, the spanish was flowing, and there is no other hostel like this one. Below is the mural at night, you can feel the atmosphere of the bar and the tranquil yet buzzing energy of the place. The owner, Ludwig is from Peru. He has owned the hostel for the last 7 year and was by far the most accommodating, tranquil and easy going hostel owner I have ever met. He was very appreciative and even helped paint a bit. Pachamama was remodeling so I had many opportunities to paint. Below is Ludwig working away cooking in the kitchen and to the left is¨Sweetie¨ one of two dogs from Pachmama. I could not get enough of the dogs as they would just climb up on your lap and give you kisses, it helped in staying warm too! Below is the bar, which has an oven for making pizzas. I stayed during high season here, so the tables were always full every night. Hey since I was bartending this was a great experience for me. Thank you to Pachamama and Ludwig for allowing me to stay as long as I did. Also thanks for reading! Now I am in Bolivia and had to say goodbye to the Pachamama family. There is no doubt that I will be back to pay a visit, and I wish them all the best! That is all for now! The Coloca Canyon: Earthquake country, flying condors, loney dirt-cactus filled paths, getting lost, running raging rivers, playful dangerous gysers, stray dogs panting medicinal hot springs, striking mountains as far as the eye can see. This is my kind of Peru. Located in the Southern part of Peru in the second deepest canyon in the world, this 3 day hike was one I waited 3 weeks to take. It was one of the reasons why I came to the small town of Cabanconde, and well worth the wait. 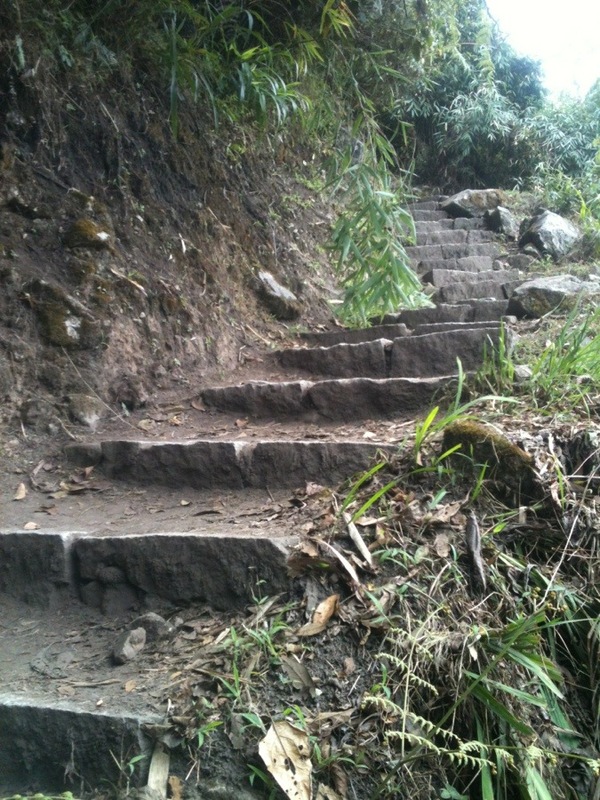 The trek started in Cabanaconde, and the first leg was criss cross, zigzag deep into the canyon. We headed steep deep down into the valley about 1,000 meters. When the altitude changed, so did the trees, birds, temperature and life surronding us. It took us about 4 hours down to get to the Colca River at the bottom of the canyon where we met a geyser that was exploding before our eyes. Without hesitation we decided to test all the tiny pools of water the swirled with the cold mountain river, and eventually swim in them. It was potentially dangerous but worth the thrill as it was the highlight of the hike for me. The canyon was actually created from an earthquake as it seperated the canyon into two. Next stop was an hour to small part of the river called Lluar, barely a little town, more like one hostal was settled next to the Colca river at the deepest part of the canyon. Little ducklings learned how to swim upstream from their parents, hot pools of medicinal thermals, polar bear diving into the cold rivers (going from one hot spring into the cold river and back again), and light hints of eucalyptus saturated in the rainfall which was the first we had had in months filled the air with a thick smell. So much beauty. There was a little friend, named Pepe who was a 7 month old Alpaca (llama) that lived outside of our dormitory. He was quite friendly and frequently would blow snot on you. He was very photogenic and made for some good photos and laughs. The owners were planning on getting a female llama and starting a family for what they reffered to as ¨decorations¨. After a good nights rest we headed out to hike 1,000 meters back up the canyon on the other side to San Galle, known as the Oasis of the canyon that had pools in about 5 different establishments to choose from. This was quite surreal as we were so tired from the heat that these pools were the perfect way to end our day. I forgot to mention, since I work at the Hostel Pachamama in Cabanacond,e the whole stay at the hostels I was at in the canyon were free as well! Food at some places was half off or free as well. I found it so lovely to have those connections from my work, feels like I have a big family in the canyon. I feel so lucky, and not just another tourist but much more calm, tranquil and appreciative of the different towns and people who are so welcoming in them. While in the canyon we felt 2 earthquakes. They were small and barely lasted seconds but it was quite the experiance as the roads leading around the canyon are so small and dangerous that you could hear and see rocks falling from the canyon. But not to fear, we were safe and stayed away from the danger. We hiked back up to Cabanaconde at 6:00 am the next morning and it took 3 hour up, up, up on a tiny path that literally went through one of the steepest parts of the mountains. For lodging in Lluar called ¨Lluar Lodge¨ the price is usually $20.00 Soles ($7USD) for a dorm and $10.00 Soles ($4 USD) for each meal. In San Galle I stayed at Las Palmeras and the price for a dorm was $15.00 Soles ($6 USD), meals were the same price $10.00 Soles ($4 USD) and these prices are considered expensive for the canyon. If you go to the canyon make sure to bring water as it is $3.00 Soles in town and $10.00 Soles in the canyon. I would reccomend packing bread and avacado and snacks. You have to stay at least 2 nights, although I have met people who do it all in one day and eventually get sick from altitude or need to recooperate for an entire night. Take your time if you go to the canyon. I believe its a place to really enjoy slowly and apprecaite. It is not going to be anything crazy, there are not many tourists, and the hikes are hard. If you dont like hiking I would not reccomend it. Although there was an option to take a donkey for $60.00 Soles (25 USD) up the mountain or a 4 X 4 for $200.00 Soles ($80.00 USD), make time to enjoy! All in all when I returned to Cabanaconde I was beyond thankful and happy for the people at Pachamama and my mural that I made there. I have been bartending at the hostel as well, and it just made me appreciate everything more being away for a little bit. Where: Anaconda Lodge – Puerto Maldanado, Peru – Anaconda Lodge; Acrylic Paint 2013; The location is next to the Madre de Dios river that hosts camine, unclassified fish and countless endemic birds. Tiny motos zipping around the bumpy dusty streets, woman skilfully crafting plates of fish, meat, and chicken with rice, dramatic soap operas roar through the vendors tents who scream into the crowded alleys to buy ice cream, vegetables, electronics, toothpaste or toliet paper. The town is alive and beating with a rhythm of fierce busyness and hard workers. My daily routine was to wake up at 6am-7am to meditate, breakfast buffet from 7:30-8:30. Painting for 4-6 hours, with the exception of the hours of 11:30am-2pm as it was unbearably hot. For this time I would swim in the bright blue tiled cold pool and play with the curious monkeys who happily climb on you and take naps on your lap. At night I would head to town on the “El Sol” bus for one sol and go the markets. You can get dinner for $2-4 Soles ($.75-1.50 USD) and fruits and veggies. I am a sucker for sweets and would always get ice cream, couldn’t help myself with all the heat! Icecrem costs usually $1 Sole ($.37 USD) and these Peruvian woman make the ice cream in these little bags homemade! Que Rico! The Hostel: Anaconda Lodge, run by a Swiss man name Donald and his wife Wanee who is from Thailand. The couple has owned this hostel for the last 7 years and the land for more than 25 years. They have 4 monkeys on the property that can’t get enough love from tourists and a swimming pool that sometimes is necessary in the hot hot heat. Wanee works everyday in the kitchen day in and day out making authentic thai food. Lucky for me! But really they have a buffet for breakfast and then delicious Thai food offered all day till 9pm at night. I was in heaven. What: A mural course! A huge one at that. I worked with or rather had to destroy a garden (that was in front of the wall, don’t worry I made beautiful bouquets of flowers from it). The wall was rough, dirty, grey and concrete. It was also the largest wall I have done yet. Length of time: 5 days of work 8 days of hanging at the lodge and 4-6 hours of work a day. Accommodation: Free food from the delicious Thai Resteraunt which, as a vegetarian consisted of lots of phad thai and veggies with rice. Authentically prepared by one of the owners and it was always delicious. What I learned: Being an artist and painter is not as glamorous as it seems. I was cutting down plants, scrubbing the huge concrete wall infested with termites and dirt. There is so much work that goes into making a piece, and so much more than just a pretty picture. I laugh sometimes to think of my work as art as its more of a skilfully woven process where each step is just as important as any other. I said I would never do a mural outside again, but I really wanted the challenge of doing something a little different and simple. Glad I did even with all the mosquito bits included. I learned you have to be direct with many Peruvians an asking questions. You must ask exactly what you need and stand by it. Sometimes if you ask a Peruvian directions or a question they will tell you a lie in response. This is not because they are bad people but because they think they are helping you when in reality it’s doing the exact opposite. They also may not hear your specific question and answer something totally different I’ve never heard a Peruvian say “I don’t know”. You can be lost asking for directions and 4 people will tell you completely different responses. So, when I went to purchase paint all the paint stores kept telling me they don’t have acrylic paint. I know that a huge paint store does in fact have paint so after asking maybe 5 people in each store I went into I finally found someone that understood me. What else did I learn? This was the first time I had a helper, Lukas my friend from Germany, who I met during the vipasana retreat paid me a visit. He has been riding his bicycle since Mexico and is headed to Argentina where his uncle works on a farm. This was nice because most of the people that came through the hostel only stayed one night so it was nice to have a friend that was constant. And help was amazing as the wall was so big. The magical land of Machu Picchu. Bright green energy, sunrising, eye opening, mysterious, wise and powerful. The Incan ruins are arguably be one of the most touristic places in the world, which made for an interesting adventure full of inward bliss and tons of people! Here is the view of Machu Picchu before and after sunrise. Watching it was just stunning, time felt like it went much slower than in reality. 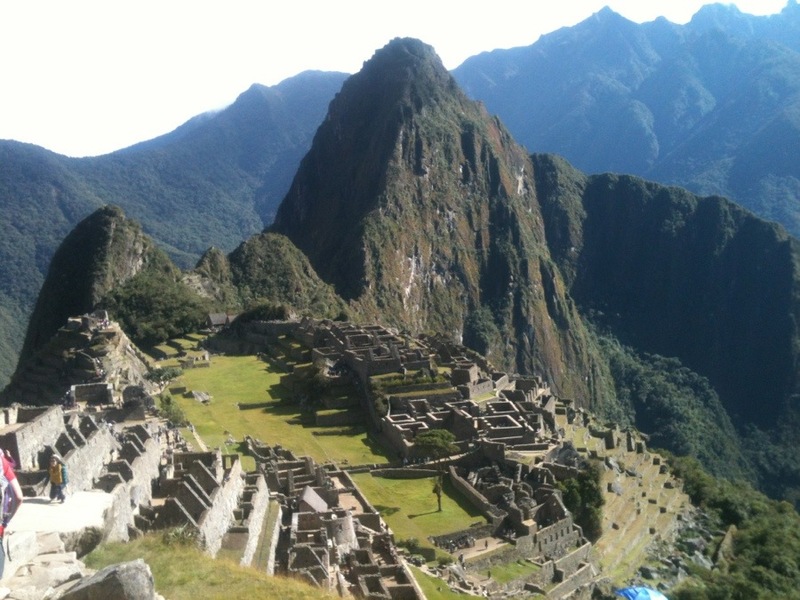 Think you have to spend a fortune on Machu Picchu? Guess again, one person can spend anywhere from $210 Soles ($77 USD) to $4,460 Soles ($1,800 USD). I will explain the breakdown later. This concept is one of the best things I’ve learned while traveling: There is always, always, always a cheaper way to travel than what you hear. Always. I started my journey in Pisac Peru. I woke up at 5:30am to meditate one hour and to make breakfast before heading out to Agua Calientes. The town is extremely touristy and expensive and is where people stay the night and typically in the morning head out early to the entrance. I was trying to make the journey in one day, was not sure if I could make it but was willing to try. 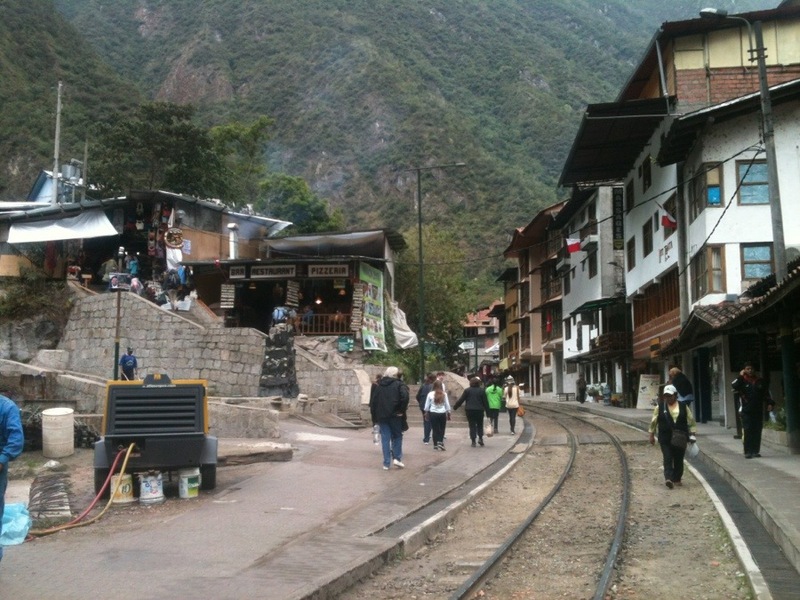 Here is the town of Agua Calientes (hot water), named this because there are thermals that surrond the area. This is also where the train drops you off, right in the center. First of all, I would call Machu Picchu a park more than a hike or trek because you can take a bus up the entrance and once you get there, the ruins are literally on the other side of the entrance. No hiking required. I would reccomend doing the 2 hours hike which is so beautiful and rewarding to meet the ruins after working hard. 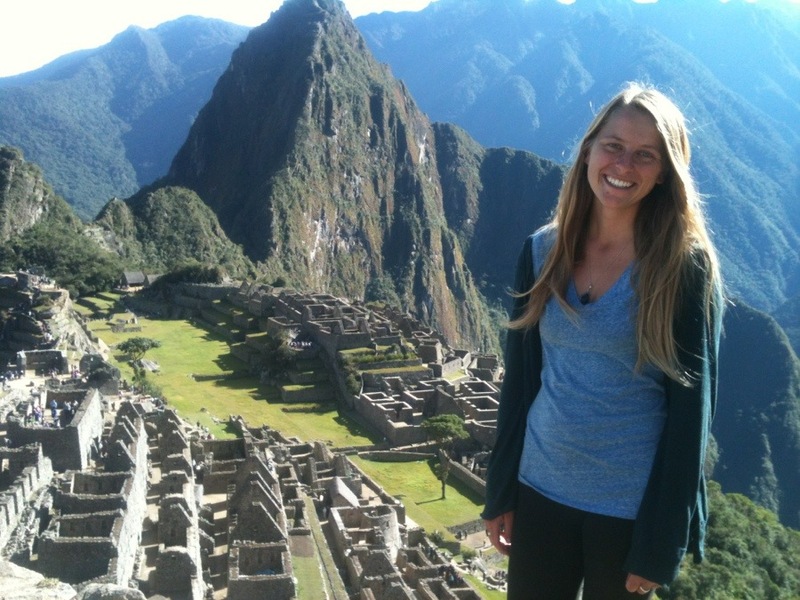 You must buy your ticket to Machu Picchu the day before and bring your passport. you must also bring your passport to the entrance as well. The cost of a ticket is $128 Soles (47.50 USD) and it’s good for one day. If you want to hike 1 hour further up to Wayna Picchu which is that big peak you are looking at in every Machu Picchu photo which has some ruins on top. Machu Picchu tickets never sell out, if you ever hear this they are talking about Wayna Picchu because it’s a small trek only 200 people a day are allowed to go. This is an extra $30 Soles ($13 USD). 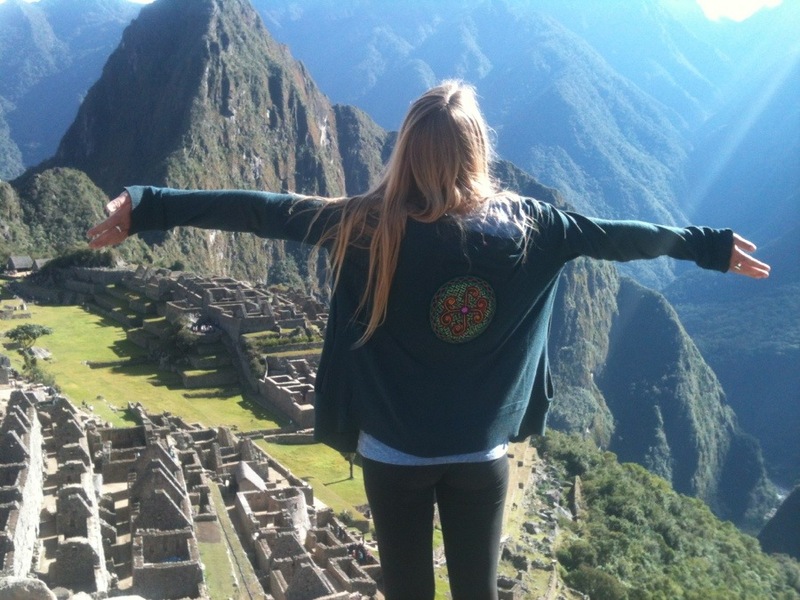 You can also trek Machu Picchu Mountain which is next to the ruins also for an extra fee and in advanced. There are 4 different ways you can get to Machu Picchu ranging from long and short distances with expensive to cheap options. Option 1) Trek 4-5 day through the Inca Trail which starts outside of Cusco for anywhere from $250-$1800 USD depending on the hike, food, guides, stay etc. 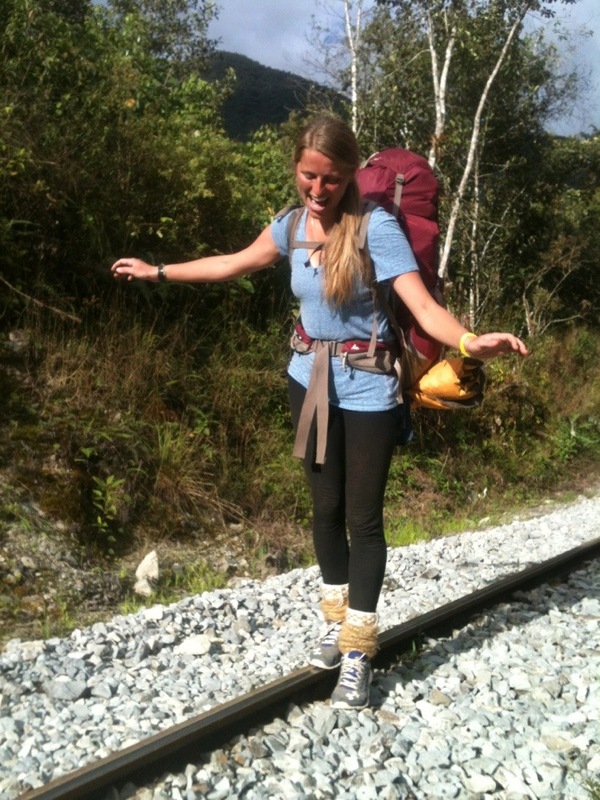 There are also other hikes besides the Inca Trail which are the same price range and same length. Option 2) You can take a train from Ollantaytambo $70-100 dollars each way. It takes 1.5 hours and is super easy and fast. It will take you straight to Agua Calietnes which is the town you start the journey from. 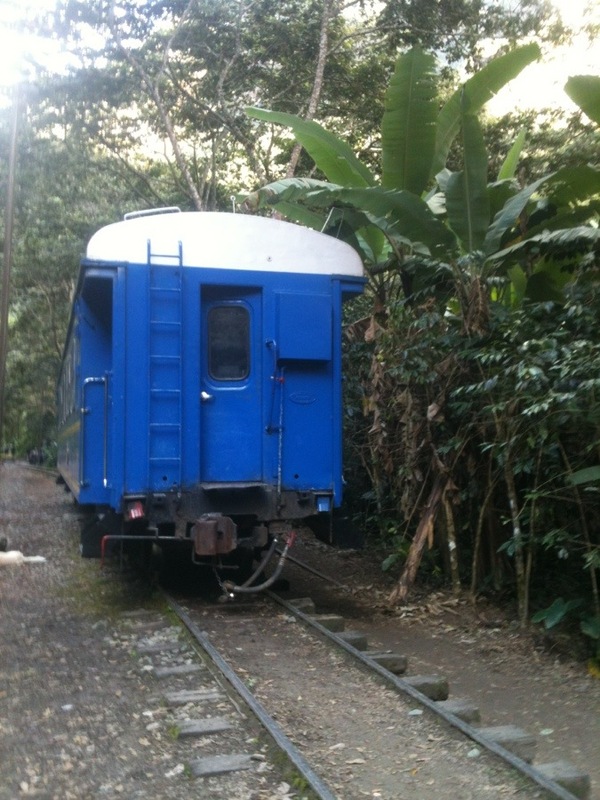 Here is the train that you can take, they dont run very often either. Option 3) You can take a bus from Cusco to Santa Marta $15-20 Soles ($8 USD) and 5 hours, then take a collectivo to Santa Teresa $5 Soles ($2 USD), then take another taxi (or the same one) to the hydraulics for $10 Soles ($4 USD) where you can walk 2.5 hours along the train tracks for free. It takes you to the same town and is quite beautiful with all the lovely people you meet while walking. I chose this option and I wouldn’t have it any other way! 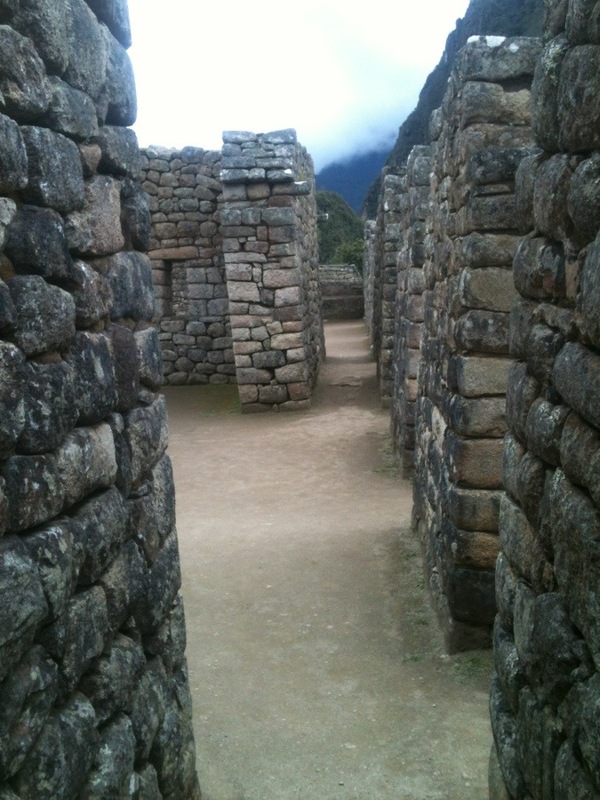 In total it was about a 7 hour journey but you save so much money and see more of the surroundings of Machu Picchu. Here is the bus driver that took me to Santa Teresa. The bus was packed so I sat up front with three of the men that work on the bus. Loud 80s Ace of Base music and chicha (drink made from corn) all around. 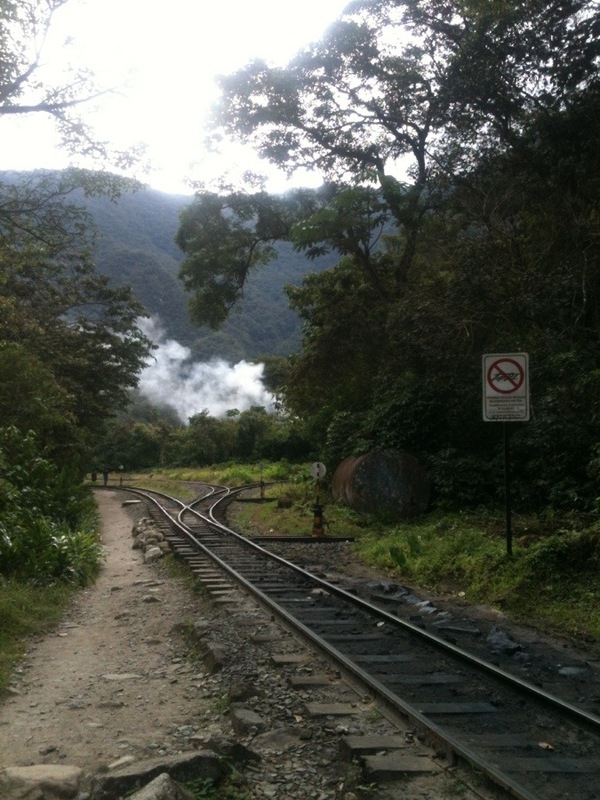 Here is some of the scenary from the walk to Agua Calientes. You can actually see the ruins the whole walk! Option 4) From the town of Pisac (45 minutes outside of Cusco) you can pay $4 Soles ($1.50 USD) for a taxi to Pisac, you can walk 18 miles along the railroad tracks to Agua Calientes. Start early like 3:30 am if you want to get there before dark. Loved this piece of metal along the tracks. Once you get to the town you have two choices to get up to the entrance, you can walk 2 hours up steep steps which looks alot like the picture below the whole way or wait 1 hour to 2 hours for a bus that costs $20 USD both ways and be hot and crammed. Here is what the hike is like the whole way up. Nothing anyone cant do, and quite serene through the forest. Once you get to the entrance there is no hike so if you take a bus you miss out on hiking. I litearlly was dripping in sweat and a tank top and arrived to hundreds of people exiting the bus in full on winter gear. It made for quite a funny experiance. There is a one hour path to a sun temple inside but it’s nothing compared to the gorgeous hike up. This surprised me as I was expecting more of a hike inside. Once you get through the entrance gate the ruins immediately welcome you. I was taken back by this, it was so sudden. For this I would call the ruins a park instead of a trek or hike. I heard that you have to start early so I decided to hike up the stairs at 3:30 in the morning. I did it without light and alone. Thank goodness it was a full moon that joyfully lit my entire walk. Que rico el camino, this was my most favorite part of my experience as I was expecting tons if people to be doing the same thing. The whole 2 hour hike and I never saw a soul in sight. I only experienced the beautiful choir of birds, crickets playing and animals waking up. So beautiful I felt the energy of the mountains without anyone around, this was so unexpected and so incredibly powerful. 5:30 am and I was in line for the entrance of Machu Picchu, took about 30 minutes as I still continued to sweat exhausted from the hike. I really couldnt believe that people were so willing to take a bus instead of walk! I even heard people wait 2 hours in line before taking the bus up! The hike was not hard at all, I have been on much more difficult ones before. So amazing how many tourists there were and none experienced the surrounding area. To each their own right? I stayed away from the group tours and was able to have a lot of silence and alone time. There are different ruins within the park and it took me about 4 hours to walk around and take my time. 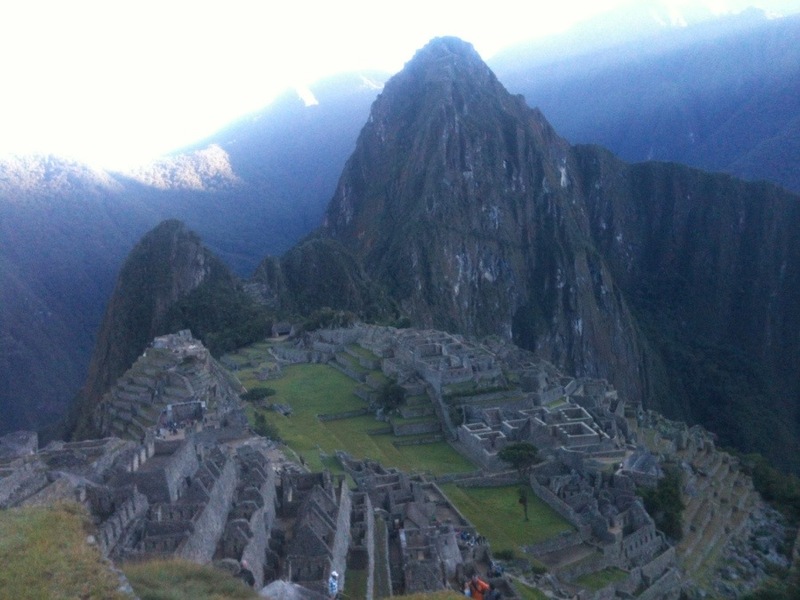 Overall I am happy to have been fortunate enough to visit the famous Machu Picchu, it was magical. However, the ruins that are around the area in Ollantaytambo, Pisac, and in-between the towns are if not more beautiful as I believe their energy has been perserved. Ruins, sun and water temples, and the cost is free and there are no people. People really build up the ruins I think a lot of the energy is lost in how many people go there. If you get a chance to go, do it cheap and spend most of your time in the surrounding ruins. Some of the surronding ruins are pre-Incan and are mind blowing. Its all about perspective and how willing you are to go off the tourist track right? I am currently waiting in Cusco for my night bus to the jungle. Glad this part of my travels is over and waiting the next adventure! Hope all are enjoying their lives with presence and love. Peace to all.